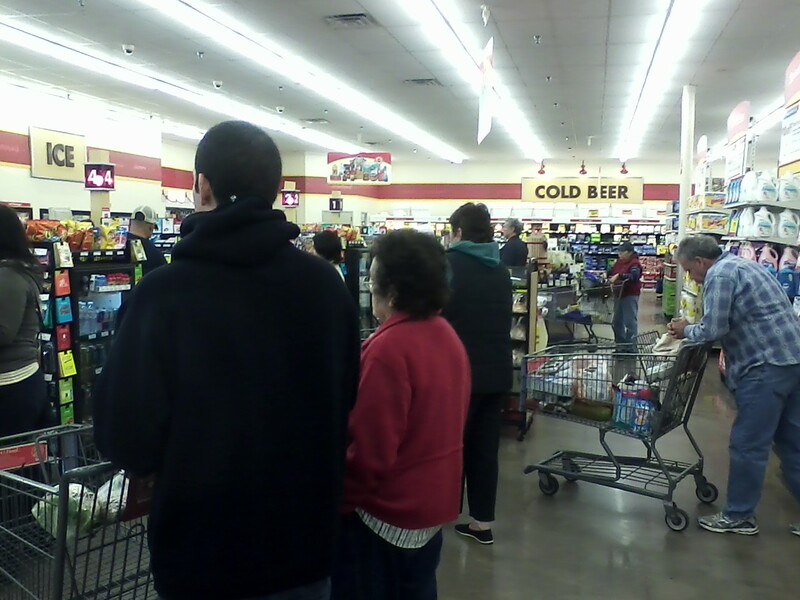 Getting in line, all checkouts “mobbed”. The last time I was here I moved down to the express lane. 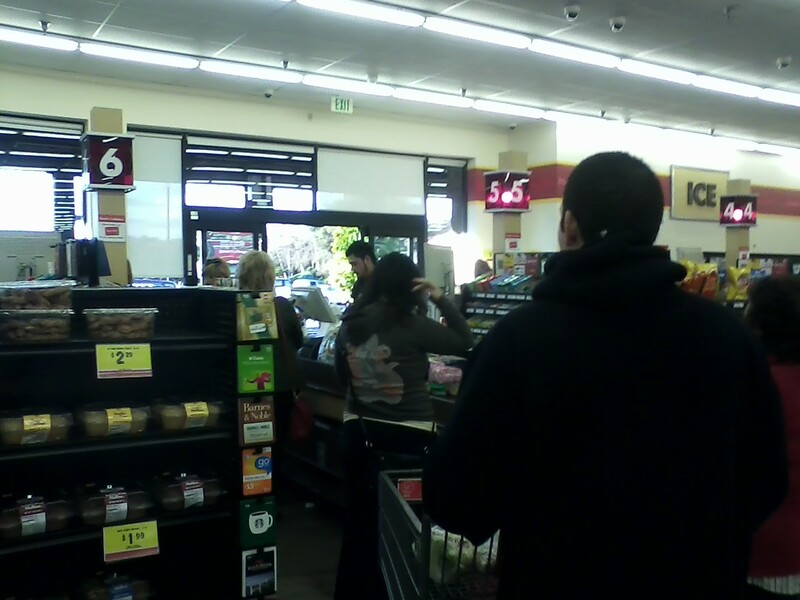 The cashier there suddenly slammed down a “lane closed” sign as soon as I arrived. 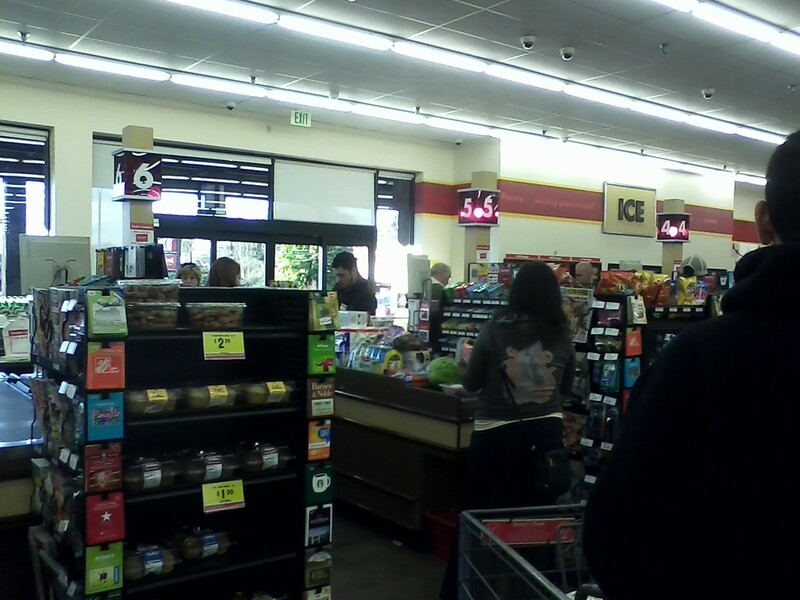 Perps frequently mob line and have large orders, look how much stuff on the checkout stand. Perp brushing hair repeatedly…to let me know she’s a perp. 5 -10 minutes later…..no one.